Spelling in English is tough, at least it was for me as a student. And although I have spell check to rescue me these days, that is not always the case with students. (That is until they invent a pen which checks spelling as you write.) Two big reasons contribute to English spelling being so complicated, both for second language learners as well as native speakers. The first is that English has borrowed words from so many languages, and as it did it often borrowed the spelling of those words as well. Think about words like hours d’oeuvres and tsunami. They are both English words, but neither follows the patterns we are accustomed to for most English words. The second thing that makes spelling in English tough is that spelling has remained static. Pronunciation of words has changed over the years, but often the spelling of the same words has remained the same. So often English words have spelling patterns which correlate with an extinct pronunciation of those words. These and other factors contribute to make English spelling, well, a challenge. But just because it is a challenge doesn’t mean your ESL students have to feel defeated. Here are some tricks for both you and your students to help them conquer the giant of English spelling and become successful writers of English. Finding the line that divides when to correct your students and when not to can seem like an impossible task. If you correct your students all the time, they can and will become discouraged and defeated. Fail to correct students enough and they will have no concern for spelling mistakes whatsoever, and as a result their writing may be at best sophomoric and at worst incomprehensible. Finding the line between when to correct and when not to correct is something every ESL teacher has to strive for. And where that line falls will be different with every group of students you teach. You can find it, though. Watch for repeated mistakes that your students make, and be sure to correct them. If a student has misspelled a word he has never encountered before but is still getting its meaning across, let that one go. Look for where your students are making silly, common, or repeated mistakes and be sure to correct them. When a student is being creative with language because he has little experience with particular words, let those go. As your students advance in their studies, get tougher on their spelling. Always be looking for signs that your students are becoming discouraged, and if you see them getting down, step back a bit from your corrections. I am a big proponent of teaching word roots to ESL students. When English learners know the meaning of the pieces that make up words, they have resources to understand new and unfamiliar words they encounter. But teaching word roots has an impact on how well your students spell, too. When students know the building blocks of words, they also know the building blocks of spelling. When word roots are repeated, spelling patterns are repeated, too. So taking time to teach word roots, either separate from your typical lesson plans or as the roots come up in the vocabulary you are teaching, is worth it. For some ESL teachers, phonics is akin to a four letter word. I felt that way myself early in my teaching career. That is until I started teaching at a school which required phonics instruction. It was at that point that I was unable to remember why I hated phonics so much to begin with. Though phonics instruction has little to offer a communicative approach to language learning, it really is worth devoting some time to, especially with young learners. When you teach phonics to ESL students, they will learn to associate letter patterns with the sounds that they hear. And the best phonics programs teach all the sound patterns a given group of words represents and in decreasing order of commonality. A program like this is worth investing in, and it will serve both you and your students well. They will become better readers and better spellers. Have you ever had to copy lists of spelling words over and over and over? It seemed to be a popular instructional technique in my elementary school days. But today teaching is more creative, more attuned to student learning styles, and more fun. At least that’s what I strive for in my ESL classes. And spelling (and vocabulary instruction) doesn’t have to follow the old boring styles. It can be fun and interactive, too. 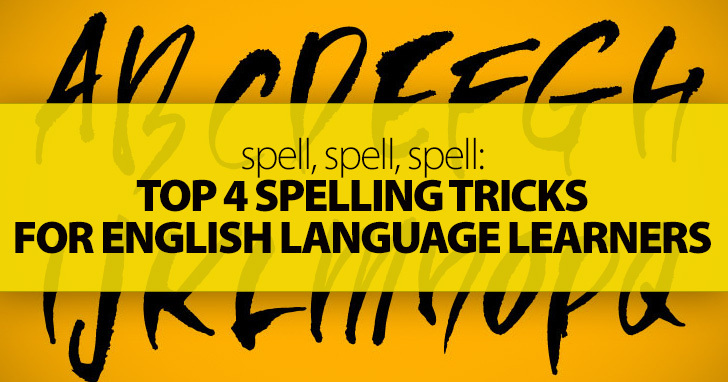 Following are some fun ways to practice spelling in your classroom. Rather than copying words to practice spelling, make them disappear. Using a chalk board and a paint brush, have students trace over written words with a water-soaked brush. As they do, the words will disappear from the board. If you have a whiteboard in your classroom, you can still do the exercise. Glue a cotton ball to the eraser end of a pencil and have your students use that to trace words and make them vanish. This is much more fun than simply copying words, and your students will get the practice they need spelling them. Young learners, in particular, learn better when their senses are involved. Play to this advantage by letting them spell in a sensory environment. Try setting up a salt spelling tray as a learning station in your classroom. Using a shallow box (a cereal box on its side with the opposite side removed works well), put a colorful piece of paper on the bottom and cover it with a thin layer of salt. Then have spelling/vocabulary words at your station for students to copy or try to spell independently (from pictures with the right spelling on the back so they can check). Students use their finger or a paintbrush to write the word(s) in the salt revealing the colorful paper below. You can also set up the station using sand instead of salt. What kid doesn’t love writing in invisible ink? Let your students practice their spelling and vocabulary words with special ink that doesn’t show up on the page. Have your students paint their words on a piece of paper using lemon juice or vinegar. Once the page dries, have students exchange papers and paint over the words using strong brewed black tea or juice from a red cabbage. The words should appear on the paper in a different color than the rest of the painting. You don’t have to stick to the page when it comes to spelling practice. Give your students some pipe cleaners and have them form the letters in bright and bendy colors. This is especially good for kinesthetic learners who need to get their hands involved to best grasp what you are teaching. Don’t have enough pipe cleaners for the class? Whip up a batch of play dough or buy some at the store and have your students form letters from that. Set up a learning station to practice spelling with this highly sensory activity. Fill a container with colored scented rice and hide letters in the mix for your students to find. (Try magnetic letters or scrabble tiles.) Then put a list of spelling words at the station. Students must search for the letters they need to spell the words on the list. After the spell a word, they can return the letters to the bin and spell another one. English spelling may be less than straightforward, but that doesn’t mean your ESL students can’t be successful. Making spelling a priority and making it fun are the keys to your students’ spelling success. What are your best secrets to successful spelling for your students? Phonics in the ESL Classroom – Is It Right for You?